February 14, 2010 in Brooklyn Backstretch. 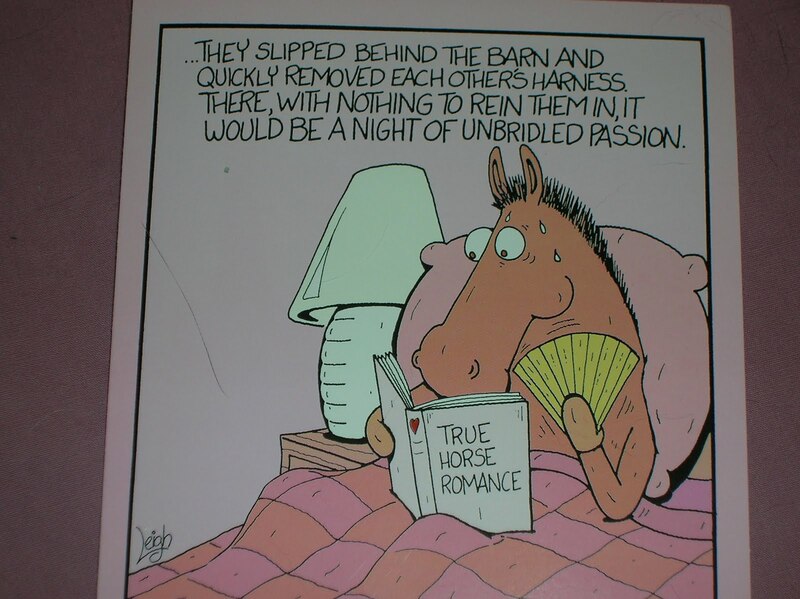 LOL Unbridled Passion back to you across the Hudson.Happy St. Valentine's Day! Love that card. Hope you had a wonderful Valentine's Day! 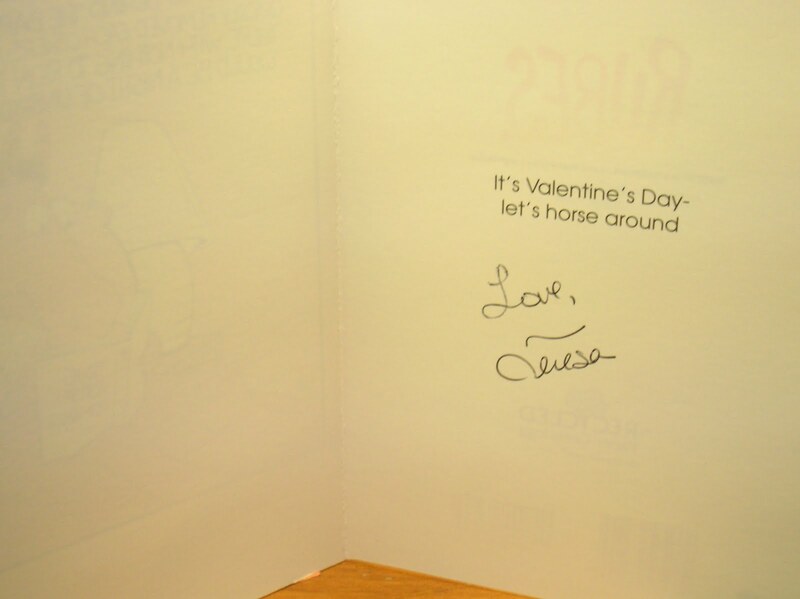 Happy Valentine's Day to you Teresa and your furry felines!We have been buried in over four feet of snow and had a hard time mustering up any kind of special love of the day. It has felt more like a Stephen King novel set in the bucolic horsey countryside of northern Virgina. Actually, Lenny Hale stopped by on Sunday and showered Red with peppermints. Lenny didn't realize it was V-Day, he was just happy to have finally made it off of his farm. Red, on the other hand, er, hoof, knew it was Feb 14th and galdly accepted the red & white treats! Right back at ya', Teresa! I found this card three years ago and have used it every Valentine's Day since–it gets old, but it's too good to pass up!